“Imitation is the sincerest form of flattery.” So the saying goes. But when that imitation becomes a direct lift of concept and content, is it flattery or is it something else? 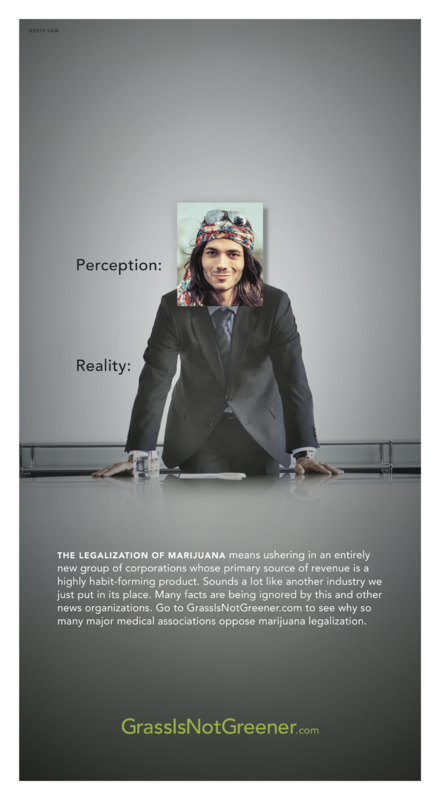 This question is begat with a new ad for an organization called GrassIsNotGreener.Com, who recently ran a full page ad in The New York Times to caution against widespread legalization of marijuana, and protest recent supportive editorials. The “reality” typography sits two inches below, and we see that the main image of the ad is that of a power-suit sporting corporate executive at the head of a board room table. The obligatory wristwatch, broad single Windsor, a rocks tumbler filled with spring water, and the latest quarterly earnings report comprise the modest styling of the shot. The copy is strong, and gets to its points quickly and clearly. Not a word wasted, and they took a firm shot at The New York Times along the way. They’re also borrowing a lot of negative equity from the tobacco industry, which is also hinted at in the copy. But wait…there’s more. 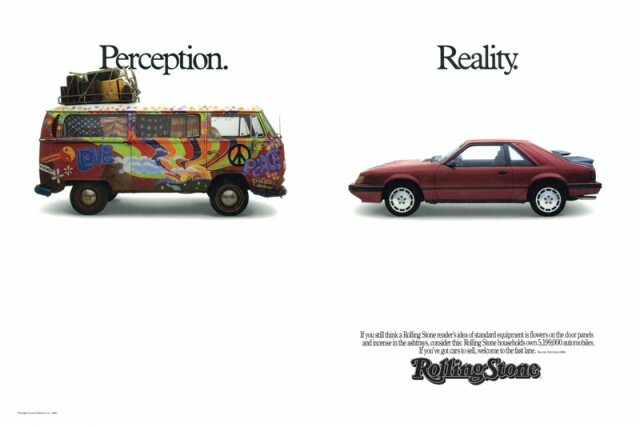 It’s not just that this ad directly lifts this concept. 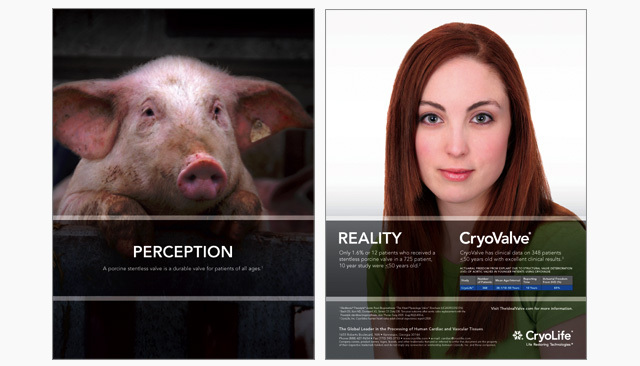 Boyd Communications, based in Shrieveport, LA, used the same (exact) concept for their client CryoLife to demonstrate that most people’s perceptions about age and cardiac valve transplants are wrong. Does it work to crystallize the point? Yes, extremely well. And while there’s nothing new under the sun in advertising, they could have used that helpful, “hey there’s more to know about this subject” approach without using the same exact words, no? And it’s not like this hasn’t happened before over the last 100 years or so – it has, countless times. Big popular executions and little-known local work gets riffed on and ripped off all the time. Sometimes it’s intentional, and sometimes, strong ideas simply resemble each other.